Welcome to week 5 of the summer cocktail series. These last few weeks have been packed full of delicious drinks perfect for any summer occasion. Be sure to look back at the last 4 weeks for all kinds of cocktail inspiration. Today I am sharing a honey whiskey iced tea, this drink is perfect for sipping on the porch after a long day. Whether your days are full of fun and sun or work and AC, this citrus and sweet drink will help you unwind and enjoy those long summer nights. Honey whiskey is a staple on our bar cart. A good blend tastes amazing over ice or mixed with soda lemonade or tea. 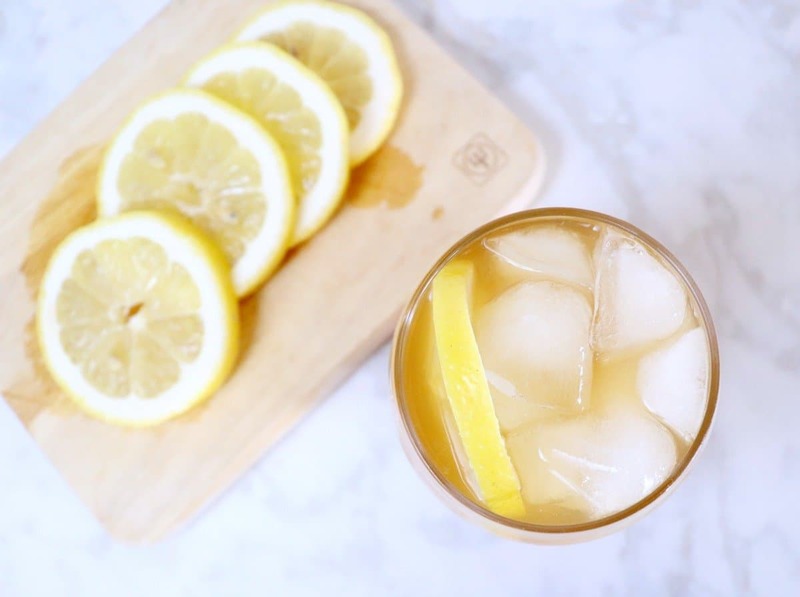 Since honey whiskey is already sweet, this cocktail uses unsweetend tea and lemonade for the perfect blend of honey and citrus. Pour whiskey into a glass full of ice. Mix in equal parts lemonade and iced tea. Add a lemon slice for garnish. Start with a glass full of ice and add 1-2 shots of honey whiskey. This is a sipping drink so make it strong and enjoy every slow sip. Top with equal parts unsweetened iced tea and lemonade then garnish with a slice of lemon. 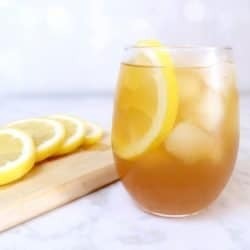 You can make your own iced tea using your favorite tea bags, you can also mix fresh lemon juice with sugar and water for a delicious lemonade. 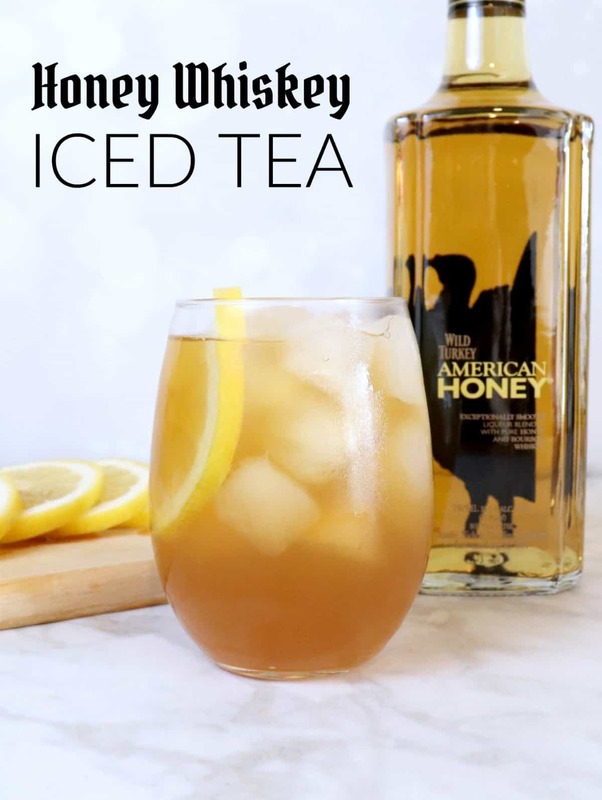 But if you are like me you are probably reaching for this honey whiskey iced tea after a long day, so feel free to cut a few corners and use premade mixers. In fact, I’m a fan of this organic half tea half lemonade drink. Just add this to your honey whiskey and your drink is complete. For more summer cocktail inspiration, check out these recipes.